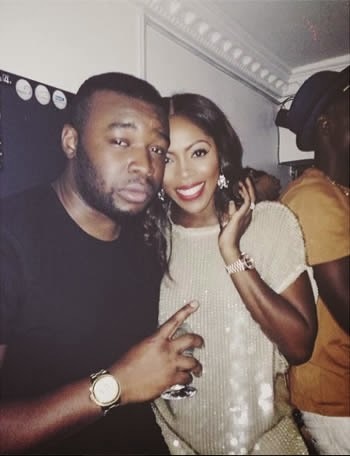 Talented singer, Tiwa Savage, turned 34 on Wednesday, February 5, and her friends gathered to celebrate with her at the Pravada Lounge in Victoria Island on Thursday. Among those present at the party are the EME crew, Triple MG crew, Wizkid, Waje, Sound Sultan and others. The celebration also marked one year of Tiwa’s surprise engagement to Tunji ‘Teebillz’ Balogun whom she is now married to. I Wish U More Of It.